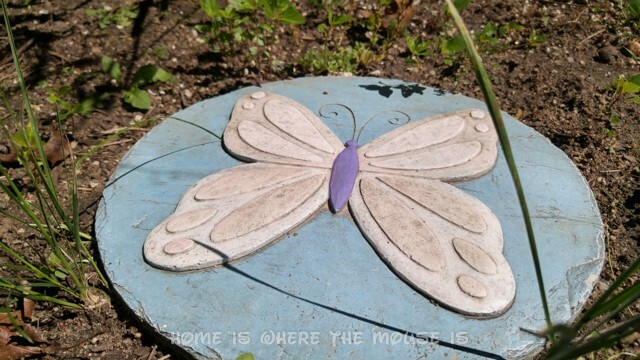 Home » Creations » DIY & Crafts » Be a Butterfly Hero Right at Home! Be a Butterfly Hero Right at Home! 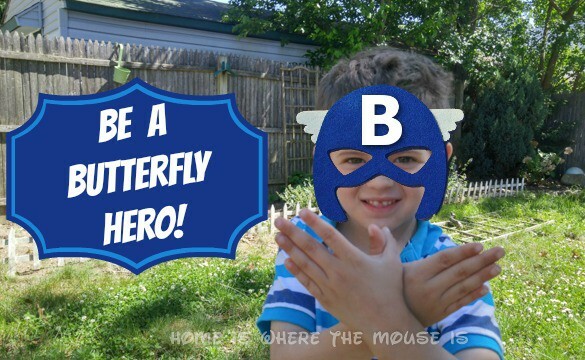 You can be a “Butterfly Hero”! Help butterflies and other pollinators by providing a place in your own backyard where these amazing creatures can get food, water, and lay eggs. Becoming a Butterfly Hero is easy. The National Wildlife Federation will send you a butterfly kit to help get you started. How do you get one? All you have to do is take a picture making the sign for butterfly with your hands. This program was launched in the early spring, but it’s still ongoing. 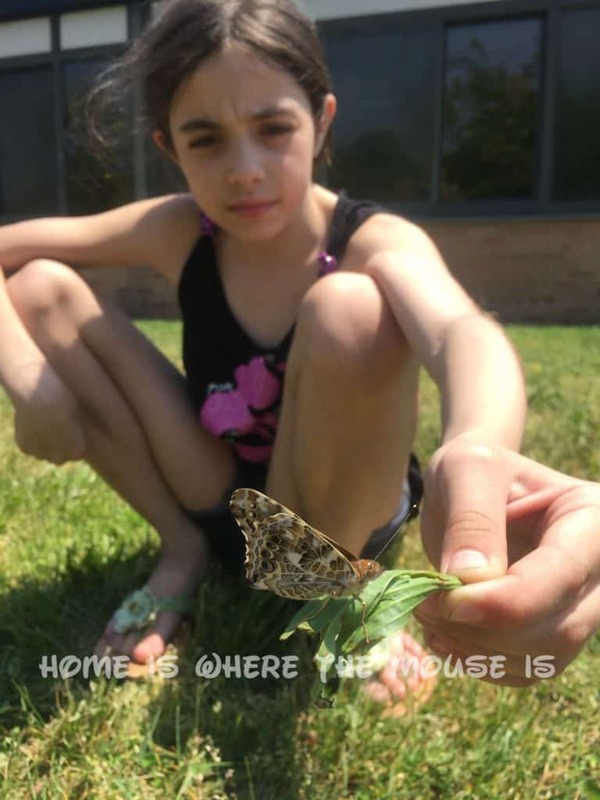 Here at home, Bella and Jackson have both learned about the life-cycle of butterflies first-hand in school. Each of their classes watched as caterpillars grew, built a chrysalis, and emerged as butterflies. For many butterflies, like the Monarch, this life-cycle repeats itself all summer long! So it’s not too late to get started! In addition to being beautiful, Butterflies also do an important job. Butterflies are directly responsible for one out of every three bites you take of your dinner. Unfortunately, changes to climate, loss of habitats, pollution, and the use of pesticides are all having an impact on their ability to survive. 23 species of butterfly are now endangered in the United States. The Monarch Butterfly has seen a drop in its population of nearly 1 Billion since 1990. You can help the Monarch and other butterflies by creating habitats in your own backyard and community. Becoming a Butterfly Hero is simple. 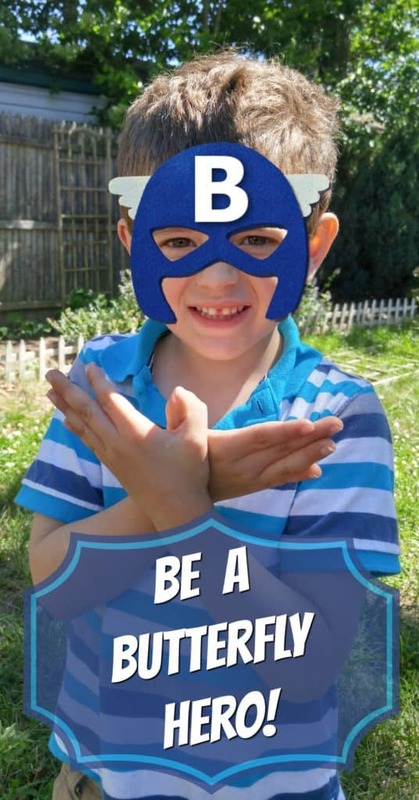 The first step is to take a picture making the American Sign Language sign for “butterfly”. 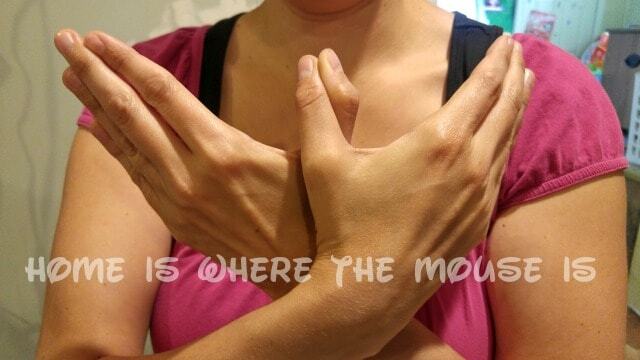 Make the sign by linking your thumbs and then crossing your hands at the wrists with the palms facing you. You’ve probably done this hundreds of times. Now, upload your picture on the National Wildlife Federation’s site along with your information. They’ll send you a butterfly kit. Your Butterfly Garden Starter Packet will contain seeds for a milkweed plant or other flowering nectar plant. The plants will vary because they need to be native to where you live. Milkweed is the plant that monarch butterflies will search for to lay their eggs. It is the primary source of food for its caterpillars. Nectar plants provide a food source for butterflies as they migrate. Once your kit has arrived, get planting! The NWF has some guidelines for creating or expanding an existing garden to make it into a habitat for butterflies. Food – Nectar plants are a butterflies favorite food source. Water – A shallow bird bath or puddle is enough for butterflies to drink from. Change out the water weekly to prevent mosquitoes from breeding. Cover – Provide dense brush or clusters of plants and high grass. Place to Raise Young – Milkweed is a host plant that provides shelter and food for caterpillars. Be sure to pick a sunny spot for your garden. You can add more plants from your local plant store to help fill it out. Plant your flowers in clusters to make it easier for butterflies to spot them. And don’t use pesticides!! 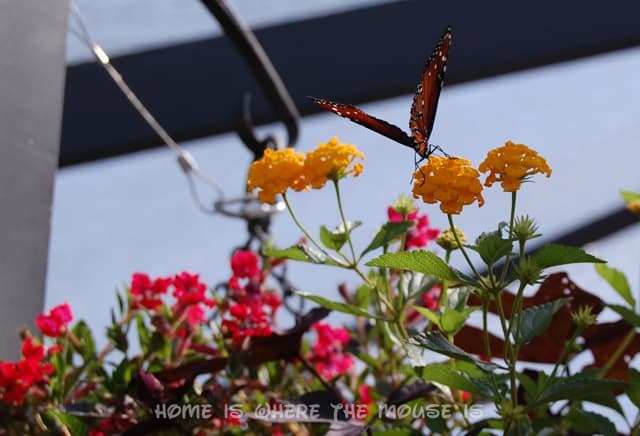 Once your backyard butterfly habitat is blooming each year, you should start to notice more butterflies. You can use the Ranger Rick Wildlife Notebook for observing the kinds of butterflies and caterpillars that your yard attracts. 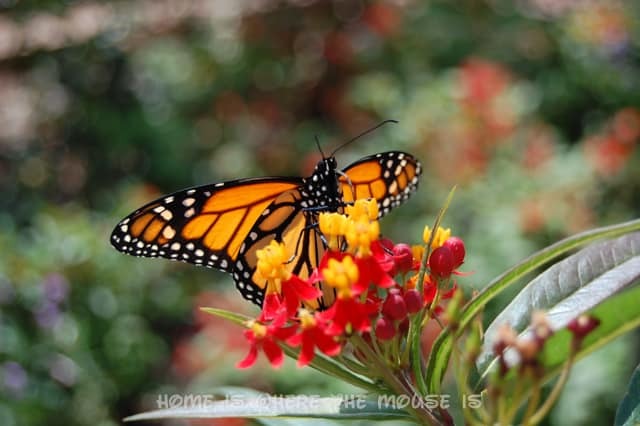 They may never be able to say “thank you”, and it may not seem like our individual gardens may be making much of a difference… but you can be a Butterfly Hero!